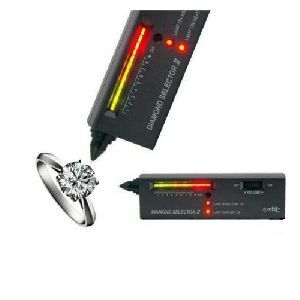 The Prestige Series II Diamond Tester with state-of-the-art technology assuring quick- accurate readings to determine if a stone is a real diamond or a fake. Linear display for increased information. 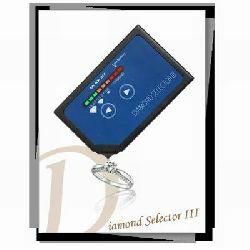 Adjustable gain for small stone sizes. Portable with one nine-volt battery (included). Auto shut-off with a push button switch. Unique new anti-fade circuit which compensates for stone heating. Low battery indicator for accurate readings. Multipurpose alarms: a. Beeps when ready. b. Metal alert. 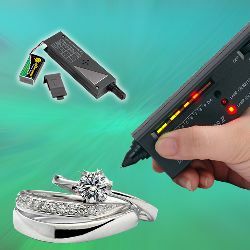 c. Beeps repeatedly when testing a diamond.